Let me put this straight. If you have the talent to mesh and darn a great trend, then you can find a flock of fashion driven admirers flying straight to you. The pursuit of fashion is a never ending quest. There will always be something new to follow. In case you are planning to cater to a segment that demands customized products, Nail this. Quality and customer expectation! Even a subtle variation in the final product (customized version) can cause a turmoil. Make sure that you know what the customer expects as a final product. If the customer wants his face to be printed on a t-shirt then figure out how he/ she wants it. It’s not a wise decision to undertake a project without knowing the scope. Also, try to enter into a mutual agreement/ understanding where the design can be used for mass products, to the least to list on your website. So when the demand comes you can print it for other peoples. The online world is often perceived with a perception of the simplicity it reciprocates (the easy to use framework it creates). The entrepreneurial feud within the SaaS based industries has forced business entities to develop customer centric platforms. Most platforms prior to their final release are subjected to run across multiple variables. Promising that people with the least technical knowledge will be able to leverage its benefits. Most SaaS companies also make use of early adopters to test and refine the MVP. For eg; In case of an apparel store while designing the online store itself make sure that you have invested the right time in brainstorming ideas that would entice a customer. A simple/ easy to navigate design should be your core objective. When I say, Starting an online apparel store is easy when compared to running it, I meant it. Consider it like this. 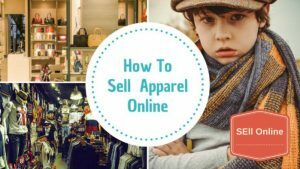 You are into the apparel business for the past few decades, never tried to use the digital space as a medium to sell. Now you thought of expanding your venture into the online ecosystem. With a slight penitence let me enlighten you, your offline success cannot be factors in. Reason being, the digital footprint for your establishment is afresh. The search engine provider doesn’t have enough data to plot a digital identity for your enterprise. At the same time with a little effort, you can get it right and rank on SERP. For eg; let the world know that have made yourself available online and people can check new arrivals and make purchases directly on the website. With pre-built eCommerce platforms like shopnix. It gets easier for digital entrepreneurs to kick start their digital journey. One small signup and they get everything they want to sell online. There are a lot of online eCommerce service providers like Shopify, BigCommerce, Wix, Magento, etc you may select the one that appeals to you the most. When planning to select a pre-build platform one needs to be so vigilant. You are planning to build an enterprise from scratch, the business model demands your complete commitment. It consumes quite some resources in establishing itself and to manifest itself to that of an authoritative enterprise. Know the pitfalls, invest in a robust and scalable platform that help and support you to grow. Selecting the right theme acts as a base platform for setting up an online store. Themes play a crucial role in deciding how your virtual shop looks. For a theme that falls into the fashion industry, it needs to meet the customer expectation. Clothes are not just products, they reflect a sense of personality. There are one of a kind handbags that has conquered the market, where people spend large sums to equip these products. Most people have filled their closet with exquisite bags, watches, eyewear, clothes etc. People are looking for an experience rather limit to a commodity that. Every luxury product that comes to the market is labelled with an intent, personality, and an occasion. The theme you select should give paramount importance to the user. A customer oriented web design is the key to success. Provide the user a personalised experience make the buying process more exciting. A great experience will inspire action. Action, when guided in the right direction, will give results. Do a good research, identify which themes are widely used in the industry. Once you have found out what is best you could look out for the same. The product widget should be designed with great precision. The website should not compromise the quality of the images. Everyone judges a book by its cover. If your online store fails to reflect the products with its inherent quality then it can cause confusion among people. The product images that you add to your website plays an important role in the conversion ratio. Always add multiple images of the product. It gives the end user the flexibility to view the product from multiple angles. Adding a video version of the product is also a viable option. Let’s consider that your online store sells pre owned apparels. The pre-owned comes with the uncertainty, here people are a bit sceptical about the condition of the product (On a scale of 1-5 how good is the product, etc). A detailed product description help overcome the state of uncertainty to an extent. When creating a product description make sure that you will highlight the benefits the end user will get when purchasing the product. Rather than a fixed price, go for a competitive price, people love to see free shipping, discounts, offers, etc. In the retail consumer space, it’s often me vs brand scenario. If you are a newbie to the fashion industry, it may be a bit hard for you to sell in the initial days. Definitely, over time you can position your business entity as a leading eCommerce store. We all prefer to engage with an entity that is familiar to us. People think twice before they enter into a commercial transaction. In the early stage, it will be your USP, marketing strategy, and the competitive pricing that would matter the most. Identify the key performance indicators and invest more in it. Analyse and optimise your online store. There is always room for improvement. Create a business entity that’s worth mentioning. Create strategies that are customer centric (will all due respect I admit the fact that revenue is required to meet the ends). A predominantly profit-centric strategy will fail to meet the customer expectation. A good online marketing strategy will add value to the customer. Being in the fashion industry you need to identify and keep yourself updated on topics that are relevant to the niche. Start attuned to the market trends. Frame riveting strategies that are narrowed down to a special group of people (your target customers). Social media marketing is widely used by online apparel stores to position their brand identity among people. Stats published on statista.com says that on an average a person spends around 135 minutes per day on social media. Social channels have revolutionized the way we socialize. Distance is trimmed down to be the last barrier. Everyone and everything is made available at a fingertip. Note:- Social media is not a channel for regular posting. The channel has evolved into a digital space where people can interact, exchange ideas, and add value to people. Parting Note:- The most amazing part about the digital space is that information is made available at your disposal. You are not alone, there is a team waiting out there to help you set up an online apparel store. A small nudge and they will reveal everything they know about how to commercialise your eCommerce store. I am a digital marketer by profession and blogger by passion. Currently, I work for a leading eCommerce platform provider "Shopnix". I take pride when it appears, that my online expeditions are adding value to people, and delighted when it touches people's lives and help them build a career. Nishant thrives to stay update on topics related to the digital marketing, and technologies that are revolutionizing the world. Inbound marketing is one of Nishant’s forte.